R.A.F.T. 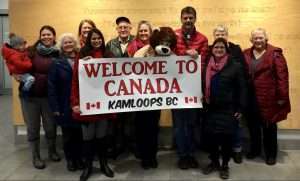 (Refugees and Friends Together) helped welcome a refugee family from Africa on Tuesday, December 4th. 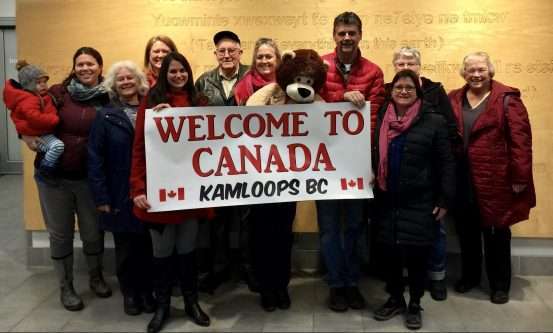 The family were exhausted after flying so far and long…Africa to Paris to Vancouver and finally to Kamloops. There are more men in the sponsoring group but some were unable to be at the airport. The family gratefully accepted the coats that were brought for them as they ventured out into the cold Canadian night. They have been taken to their new home and can rest now.